Article 31,1: Indigenous peoples have the right to maintain, control, protect and develop their cultural heritage, traditional knowledge and traditional cultural expressions, as well as the manifestations of their sciences, technologies and cultures, including human and genetic resources, seeds, medicines, knowledge of the properties of fauna and flora, oral traditions, literatures, designs, sports and traditional games and visual and performing arts. They also have the right to maintain, control, protect and develop their intellectual property over such cultural heritage, traditional knowledge, and traditional cultural expressions. Article 31, 2. In conjunction with indigenous peoples, States shall take effective measures to recognize and protect the exercise of these rights. The process of exploring the subject of colonial histories through contemporary Aboriginal arts practices is not overly original but it is a great starting point for building relationships throughout Ontario as Zakide attempts to establish itself further and reach greater audiences. Combining this with our ongoing organizational exploration brings additional conversations of regional vs. national outreach and representation into our projects. The magnitude of exploration on this subject takes place every day and that only emphasizes the importance of understanding and sharing these issues. The impact it has on our practices as indigenous artists/curators is important but also where our individual roles in the art world take place and how we each are situated in regards to this conversation. When a subject as large as Indigenous identity within the current climate of Canada is addressed, it is important to have as many voices as possible expressing their viewpoints. We wish to add voice to this and engage in contributing to the arts milieu of Canada. 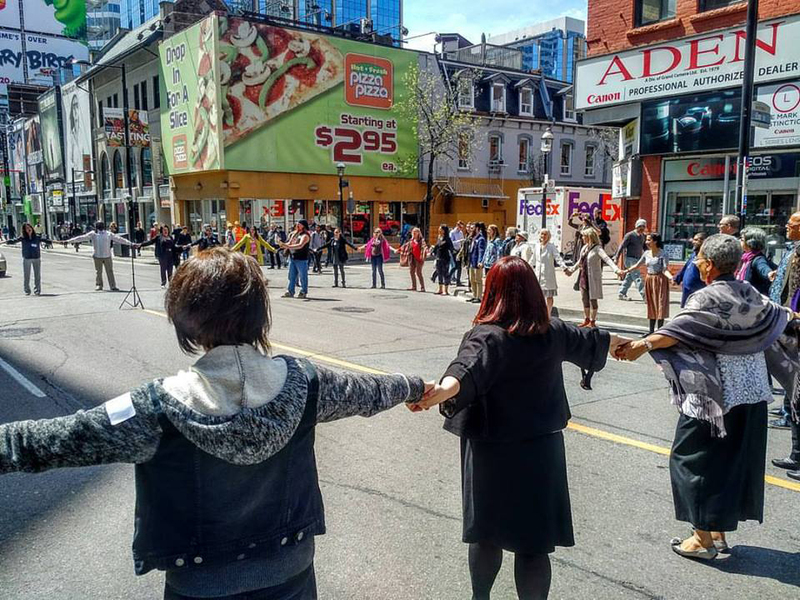 Engagement: Over the past 6 months (February – July, 2016), Zakide members have been conducting micro events and discussions relating to Treaty Rights and Indigenous Rights to Self Determination within Ontario. This research is part of an Ontario Arts Council funded project that allowed several of us to take time to explore relationships, power dynamics and the state of affairs within several communities. Interviews on-site in Moosanee and Moose Factory including conversations with representatives of MoCreebec EEYOUD and Moose Cree First Nation members. A short documentary is being produced from these interviews and will be shared when ready. There is more happening on this project every day including plans to visit Thunder Bay, Manitoulin Island and other areas of Ontario this fall. We will continue to publish pictures and documentation from initiatives as we get them in so check back often. Zakide would like to thank the Ontario Arts Council Aboriginal Arts Projects program for supporting this action and allowing us to explore these important issues.